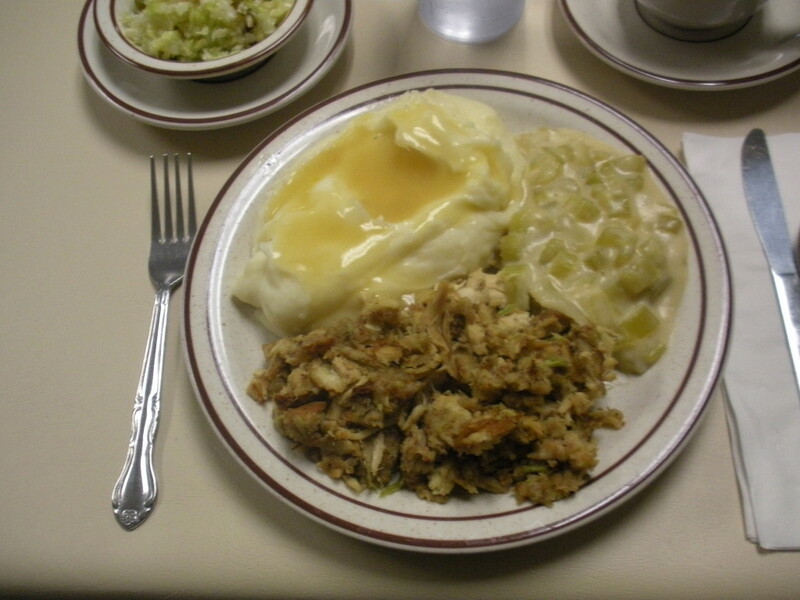 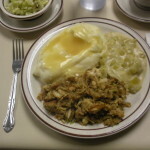 Dine at our country restaurant while you experience the Pennsylvania Dutch Country. 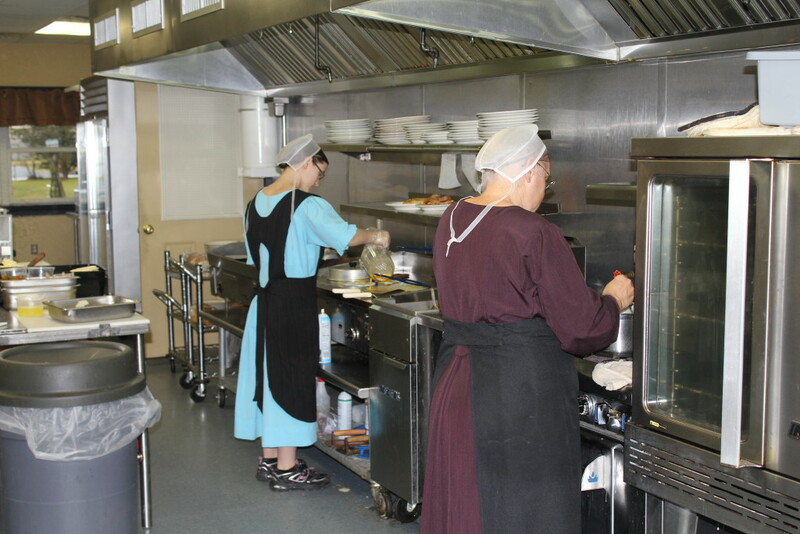 Watch our Amish cooks hard at work in our kitchen, and chat with them as they serve your meal. 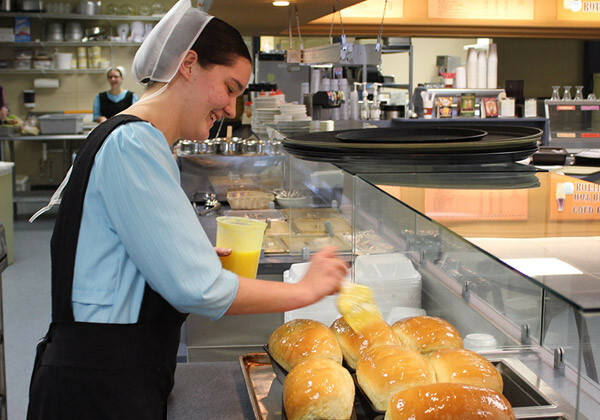 Stop in and experience an Amish style restaurant featuring Amish cooks and traditional Amish recipes. 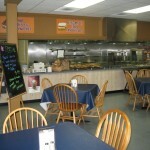 Treat yourself to breads, rolls, jelly, salads, soups, gravy, sauces, desserts. 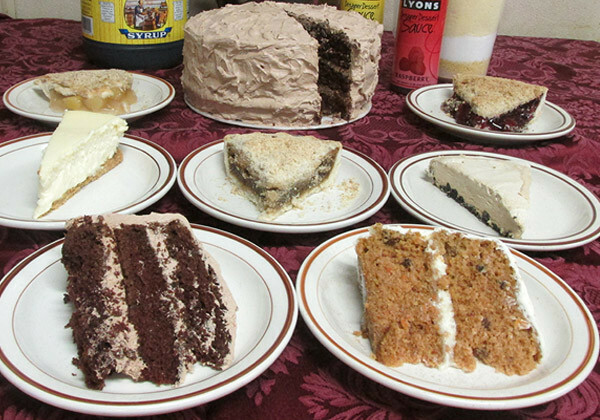 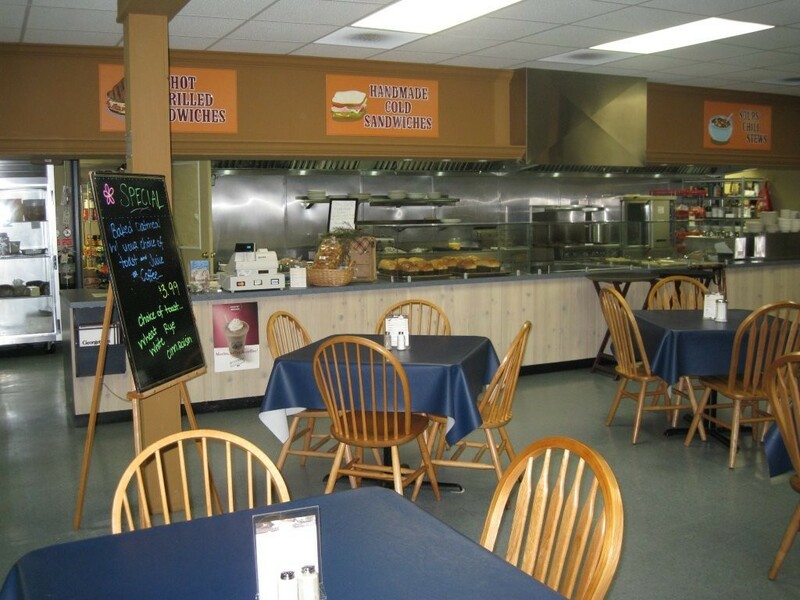 Our specialties include: homemade chicken pot pie, an authentic Amish wedding meal, roast beef dinner, homemade breads, whoopie pies, shoofly pie, and more! 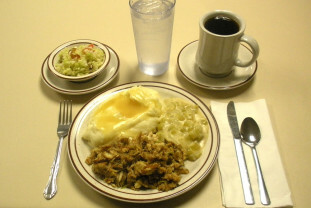 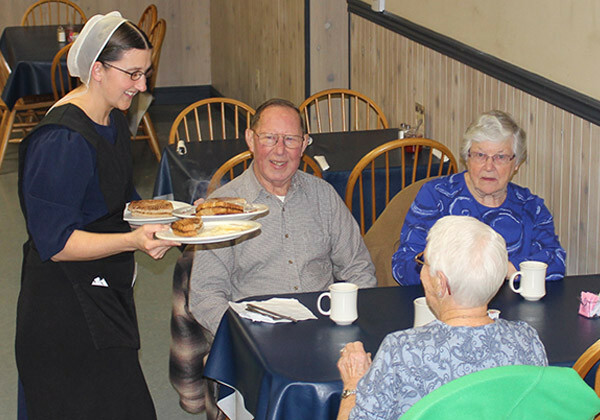 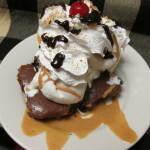 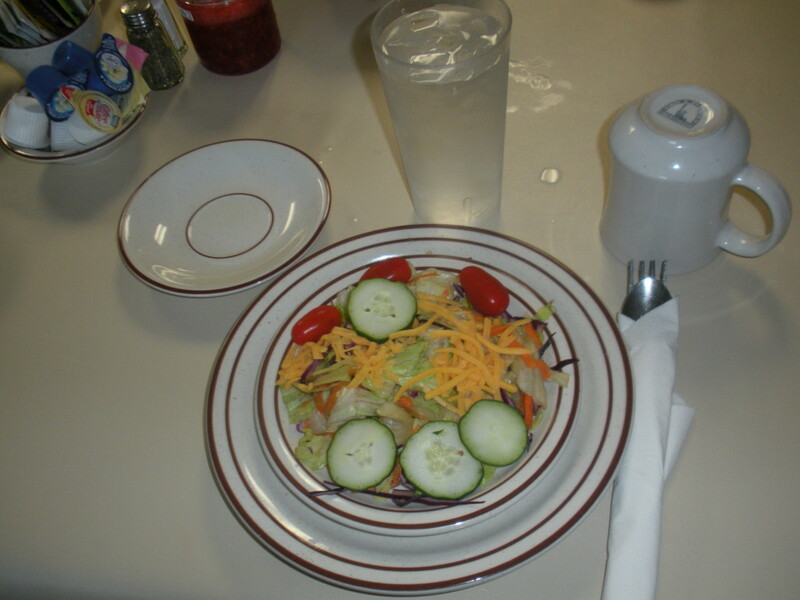 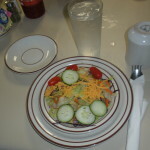 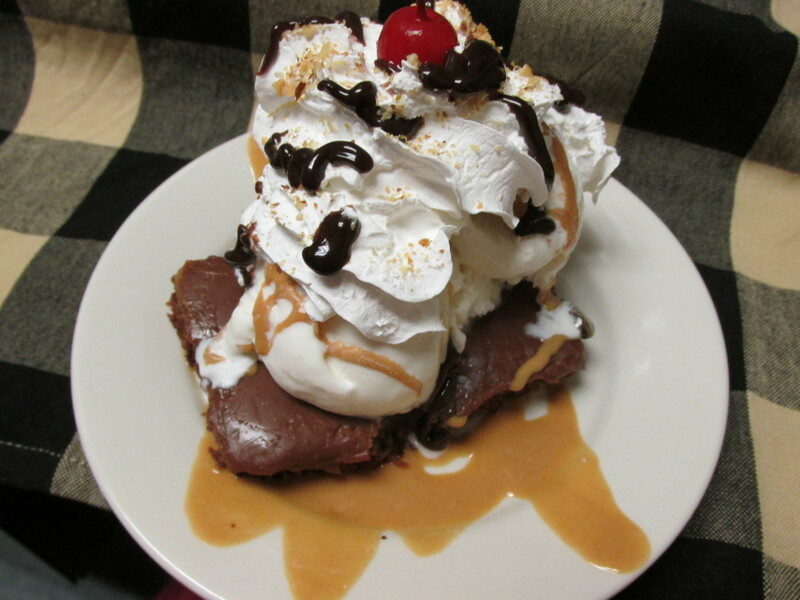 In addition to our signature Amish dishes, we also serve breakfast, soups, entrees, cafe-style sandwhiches, and desserts. 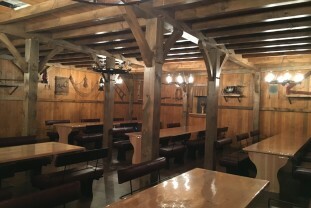 We have a banquet room available for special events and tour groups. 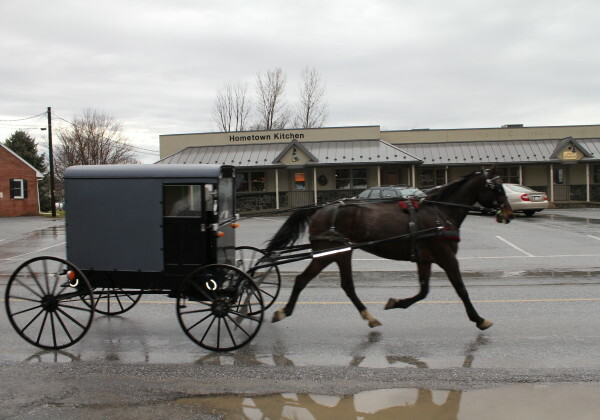 It has enough seating to accommodate an entire motorcoach. 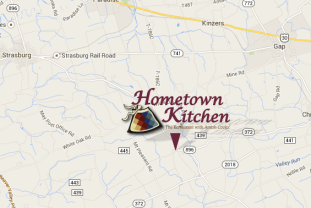 We’re located in the village of Georgetown, just a short drive south of Strasburg, PA.